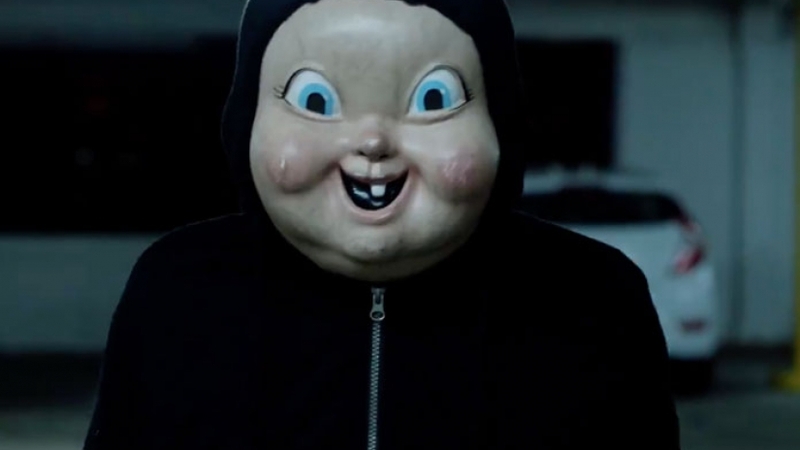 Happy Death Day is directed by Christopher Landon (Paranormal Activity: The Marked Ones) and written by Scott Lobdell (X-Men the animated series… yeah). This marks the eighth film to be rolled out by Blumhouse Productions, with Get Out and Split both being a commercial and critical success. The movie stars Jessica Rothe, Israel Broussard and Ruby Modine, and the story centers around a college student who relives the day of her murder over and over (a la Groundhog Day), until she finds a way to break this loop. I somewhat enjoyed this movie. Walking into this movie I adjusted my expectations. You don’t come into this type of movie and expect to see a Blade Runner 2049. It’s a fun, slightly more comedic, slasher horror movie. It’s far from perfect or from being great, but I didn’t walk away from this screening regretting my $12.00 ticket, even though I’m not the target demographic (it’s teens). I was surprised by Christopher Landon directing. Despite her being stuck in a loop, I never felt bored by the film. He balanced the comedic elements with all the slasher tropes that kept me engaged. He also used certain camera techniques to showcase our protagonist’s desperation and tension with the events that are unfolding in front of her. The runtime being tight (1h 36m) is beneficial to this type of story. When you are watching the same events unfold over and over with a slight alteration, it can get boring. Writer Scott Lobdell was smart in the way the slight alteration kept the movie fresh and you looked forward to how the next day will play out. Quick note. not all the alterations add-up in terms of timing. No matter what she does before certain things, she is still able to see them. Jessica Rothe (La La Land) plays Tree Gelbman, the college student stuck in the loop. She carries this film on her back with her performance. She has a nice character arc as she learns the type of person she through this experience. Her character goes from being the typical self-involved sorority girl depicted in countless films, to a “badass” self-dependent woman fighting to live so she can be a better person. This arc is completely contrasted by Rachel Matthews, who starts and ends as the typical sorority girl, but she always makes the audience laugh with almost every line. She would perfectly fit in the world of Mean Girls. Like I said above this movie is far from great or perfect. One of the biggest glaring flaws is the music selection. There is a montage in the middle that doesn’t fit in tone at all. It’s set to a pop song and it plays out like an “oh well, here I go again” instead of being a montage of her struggling to find the killer. I should’ve felt every single death and how it was accumulating on her psyche. As an audience member, I should’ve felt sorry that she had to feel every single murder repeatedly, but the movie didn’t communicate that to me. This movie also suffers from the audience being fully aware of the formula. Groundhog Day is the best example of the formula: the character won’t get out of the loop until she figures out X and fixes it, so we as the audience are more focused on the X rather than why it’s happening. Finally, the reveal wasn’t impactful. When your entire movie centers around a “whodunit” premise, the reveal should be a huge payoff for the investment of the audience. I just went like, “ah yeah.” and the motivation is somewhat laughable. It’s not a horrible mistake just a missed opportunity. Happy Death Day is a serviceable and enjoyable horror-comedy. With solid directing and creative writing, the movie never went stale. Jessica Rothe’s performance elevates this film above the million and one low budget horror movies that go by the way side and I would watch it again if I see it on Netflix. 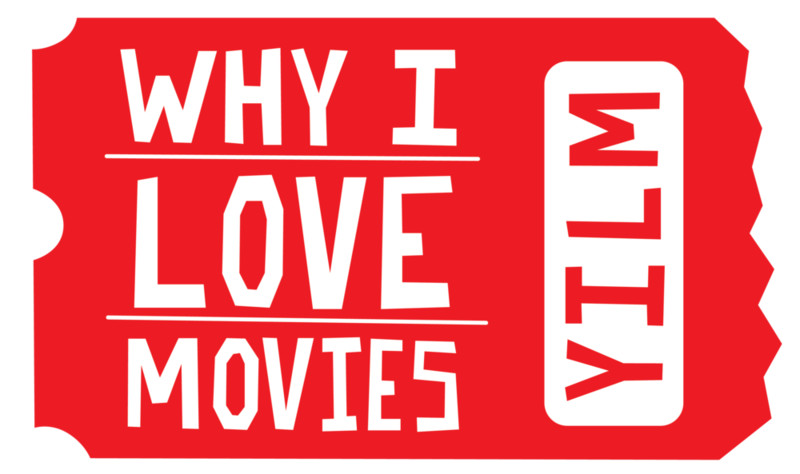 Being able to kill 1hr and 36m of my day is why I love movies. Happy Death Day is currently playing in theaters. If you are going to get stuck in this loop, I would do it at home rather than in the theater. I enjoyed this movie. Walking into this movie I adjusted my expectations. You don’t come into this type of movie and expect to see a Blade Runner 2049. It’s a fun, slightly more comedic, slasher horror movie. It’s far from perfect or from being great, but I didn’t walk away from this screening regretting my $12.00 ticket, even though I’m not the target demographic (it’s teens). I was surprised by Christopher Landon directing. He created and maintained a tone from beginning to end (with an exception of a montage in the middle). Despite her being stuck in a loop, I never felt bored by the film. He balanced the comedic elements with all the slasher tropes that kept me engaged. He also used certain camera techniques to showcase our protagonist’s desperation and tension with the events that are unfolding in front of her. The runtime being tight (1h 36m) is beneficial to this type of story. When you are watching the same events unfold over and over with a slight alteration, it can get boring. Writer Scott Lobdell was smart in the way the slight alteration kept the movie fresh and you looked forward to how the next day will play out. Like I said above this movie is far from great or perfect. One of the biggest glaring flaws is the music selection. There is a montage in the middle that doesn’t fit in tone at all. It’s set to a pop song and it plays out like an “oh well, here I go again” instead of being a montage of her struggling to find the killer. I should’ve felt every single death and how it was accumulating on her psyche. As an audience member, I should’ve felt sorry that she had to feel every single murder repeatedly, but the movie didn’t communicate that to me. This movie also suffers from the audience being fully aware of the formula. Groundhog Day is the best example of the formula: the character won’t get out of the loop until she figures out X and fix it, so we as the audience are more focused on the X rather than why it’s happening. Finally, the reveal wasn’t impactful. When your entire movie centers around a “whodunit” premise, the reveal should be a huge payoff for the investment of the audience. I just went like, “ah yeah.” It’s not a horrible mistake just a missed opportunity.